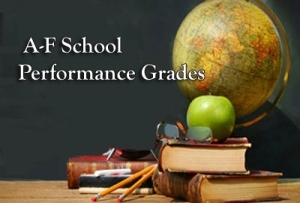 In case you missed it, the state House took a positive step in education policy last week when it voted in favor of HB 322, which would change the way A-F school performance grades are calculated. The current school grading calculation is based 80% on test score proficiency and just 20% on student growth. This has led to criticism that the A-F grades assigned to schools undervalue growth in student learning and are too closely correlated with school poverty rates. A and B grades are overwhelmingly concentrated amongst schools that serve the fewest number of poor students, while high poverty schools, even those with high levels of student growth, are saddled with D and F grades. Lower grades can be harmful to student and staff morale and make schools less desirable for prospective parents, potentially leading to even higher concentrations of poverty. To his credit, bill sponsor Rep. Craig Horn is seeking to address these deficiencies in the school grading system, noting during the committee meeting that “[i]n my view, education is growth” and that “proficiency rewards schools for the students they take in but not necessarily for how they teach students.” HB 322 puts more emphasis on growth in student learning by changing the calculation to 50% proficiency and 50% growth. The bill garnered broad, bipartisan support with only one dissenting vote in committee and only two on the House floor. There are certainly problems with the A-F model, particularly the focus on standardized test scores as the sole indicator of school quality. A more robust and informative system would include other indicators of student achievement like measures of school culture, climate, and access to key resources like advanced courses, pre-kindergarten programs, school technology, and highly qualified teachers. But HB 322’s focus on growth in student learning represents an important step toward creating a school accountability system that promotes student achievement and provides parents with meaningful information about the schools their children are attending. HB 322 is now in the Senate (it’s been assigned to the Senate Rules Committee) where it’s fate is less certain. Let’s hope Senator keep the dialogue moving on this extremely important subject.